The Smartest Way to Get Instant Feedbacks From Your Site Visitors! 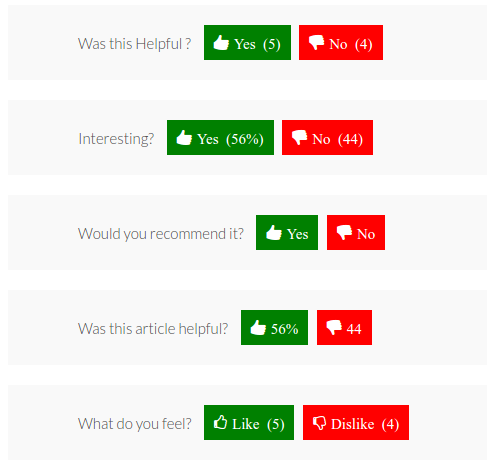 Show ‘was this helpful’ feedback form on every posts of your wordpress site. Single Post page is best place to show you feedback form. Form will be visible at the bottom of the post content automatically. 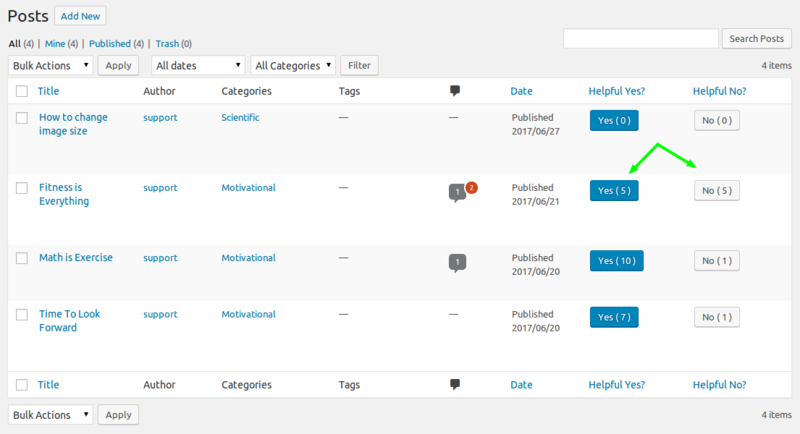 You can get multiple reviews on different posts together by applying feedback form on archives pages. You can view summerzied chart of your overall performance on the wordpress dashboard. 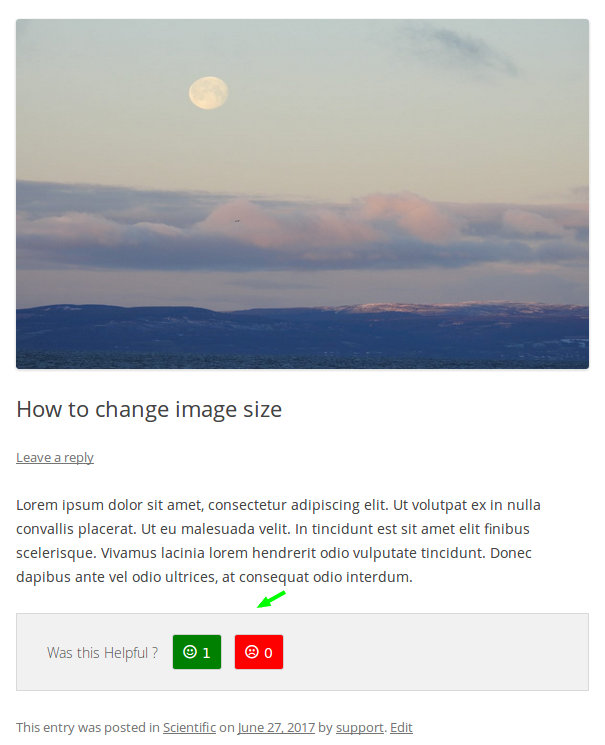 It’s super easy to modify feedback template using minimal css skills. Customize Question & Labels According to Your Needs. You can customize Question and all related strings according to your website contents. Your visitors can share your useful contents on facebook or twitter easily. Ask visitors about what they liked Most in your website content. 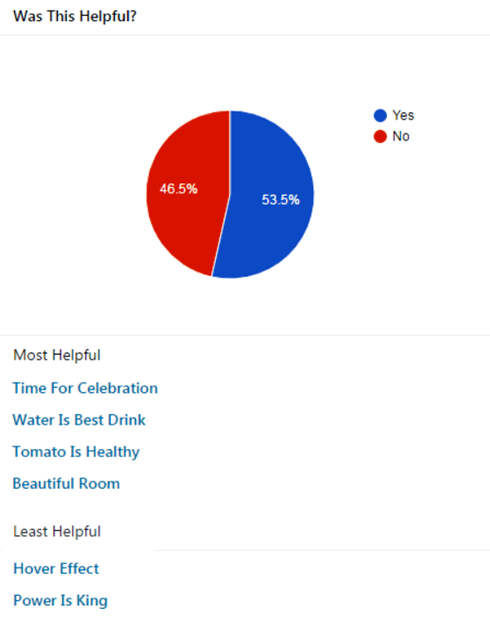 Get detailed reason for the negetive feedback provided by the visitor on your contents. It’s super easy to integrate google analytics and feedback analysis using Google Analytics. You can restrict number of feedback by IP to limit number of feedback per user. You can easily hide feedback options from certain posts by posts ID’s or by categories. View positive or negative response on each post separately. This product works well on both single site and multi-site wordpress setup. This plugin is WPML compatible plugin. You can translate user interface using .po files. 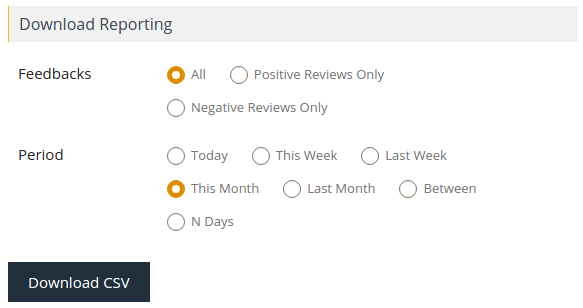 You can download positive and negative feedbacks in CSV format to analyze them and modify your contents according to results. Step 1: Install Was This Helpful Pro plugin. Step 2: Enable Feedback Review on posts/pages or custom post types. 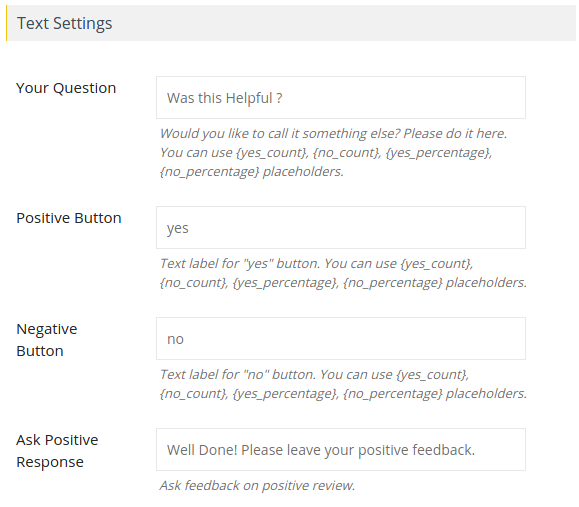 Step 3: Choose feedback Template or upload your own template. Step 4: Setup text strings and language. You get 6 months support included with this plugin and lifetime updates.